Dutch legend Patrick Kluivert spoke directly to La Liga about compatriot Frenkie de Jong’s transfer to Barcelona, who will face Real Madrid today. Frenkie de Jong’s arrival to FC Barcelona has been one of the most exciting transfers during the winter window, compatriots like Patrick Kluivert are very happy about the new player that the Catalan club has signed. The former player himself knows exactly what it means to be a Barcelona player, he was part of the squad at the start of the millennium and scored many important goals during the era in which many Dutch players were hired by the club. Kluivert actually dreams that his son Justin can someday play alongside Frenkie in Barcelona, but the kid is still a teenager and has a development process to go through playing for AS Roma. De Jong, on the other hand, has already reached an age that can give him enough street cred to be considered a world-class midfielder who can carry a team. His arrival to FC Barcelona is great news for the club according to Kluivert, who knows Frenkie very well from his childhood because he shared a long time with his son on the Ajax academy and was able to get familiar with everybody who saw him playing every week. Our friends from La Liga were gracious enough to facilitate a video in which Patrick Kluivert speaks about De Jong’s transfer to Barcelona, he practically gave us a detailed profile of the Dutch player who was just signed by the Catalan club from Ajax and will start his new adventure on July later this year. 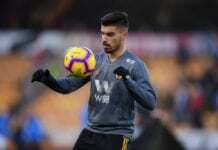 Patrick was also hopeful for the future in the Spanish club: “He offers a lot of joy for the people because he is a very good player, he is 21 years old now,” said the Dutchman. Matthijs de Ligt está loco por venir al Barça y continuar jugando junto a su amigo Frenkie de Jong. Frenkie de Jong has been going through some important physical problems ahead of Ajax’s upcoming match against Real Madrid this Wednesday, he did practice with his teammates in the last session before the match. 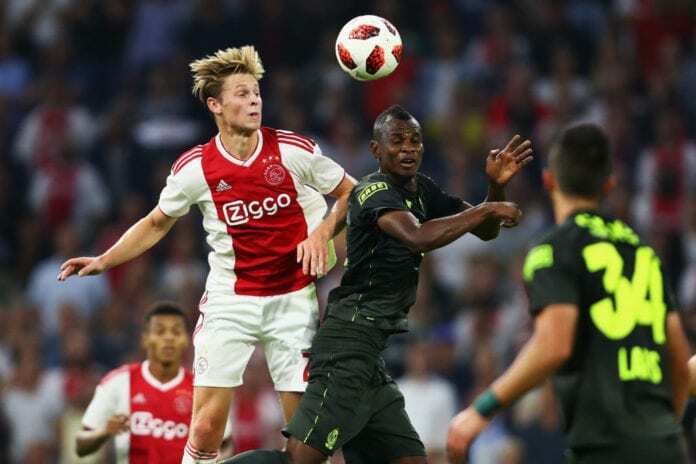 However, manager Erik Ten Hag revealed that he won’t make a decision to play Frenkie until the very last minute before the match starts at Amsterdam Arena. 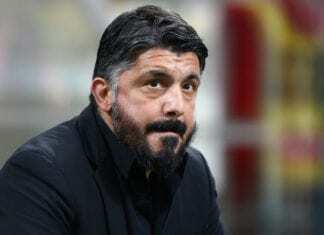 The player is very motivated to play this match given that he will have a chance to prove his talents against his future mortal enemy, but the manager won’t risk him if he believes he may fall injured throughout the match. De Jong is carrying a muscular problem on his hamstring, it doesn’t appear to be serious but it’s still worth taking care of. Real Madrid is already in Amsterdam getting ready for this crucial Round of 16 matches against Ajax, they are considered favorites to get through to the quarterfinals but Ajax is also looking to surprise everybody as they consider themselves a worthy opponent for any rival this season. What do you expect from the upcoming Champions League match between Ajax and Real Madrid? Please share your opinion in the comment section down below.